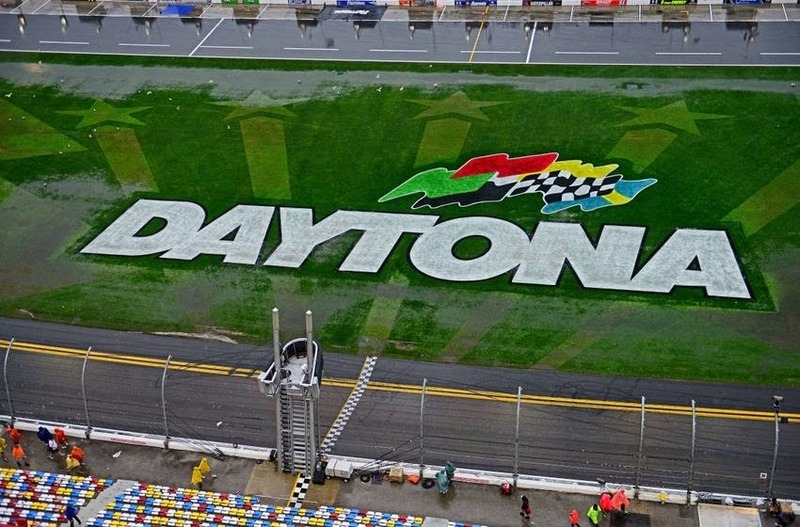 DAYTONA BEACH, FL - The 2015 NASCAR season is off to a very unpredictable start. Even before the Sunday season opener, Kurt Busch’s 2015 aspirations were dashed when NASCAR imposed an indefinite suspension following allegations that Busch tried strangling his ex-girlfriend. Brother Kyle Busch is also out indefinitely following a leg injury in Saturday’s pre-season race at Daytona. 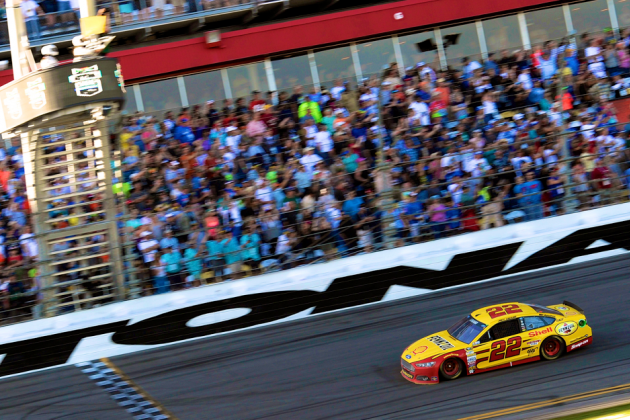 Finally, under-dog Joey Logano won his first Daytona 500 under a yellow flag following an exciting green, white, yellow, checkered finish. 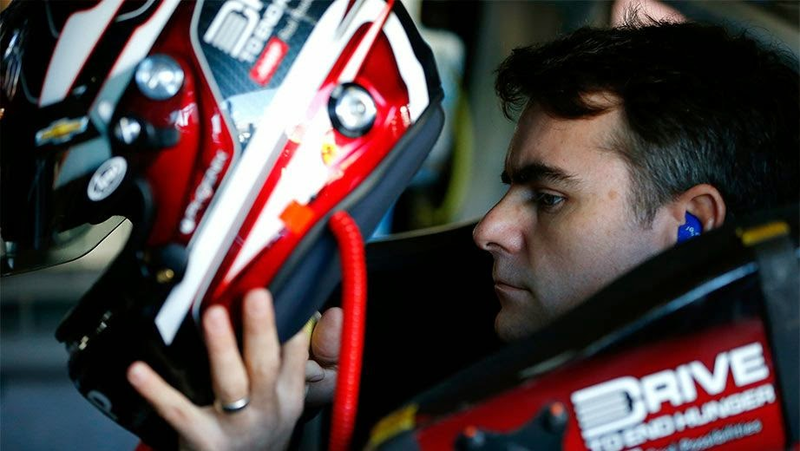 NASCAR legend, Jeff Gordon, sat on the pole for what may be his final Daytona start, following his announcement that he will retire after this season. Jeff’s team mate Jimimie Johnson started at his side with defending Daytona 500 winner Dale Earnhardt Jr in the third position. 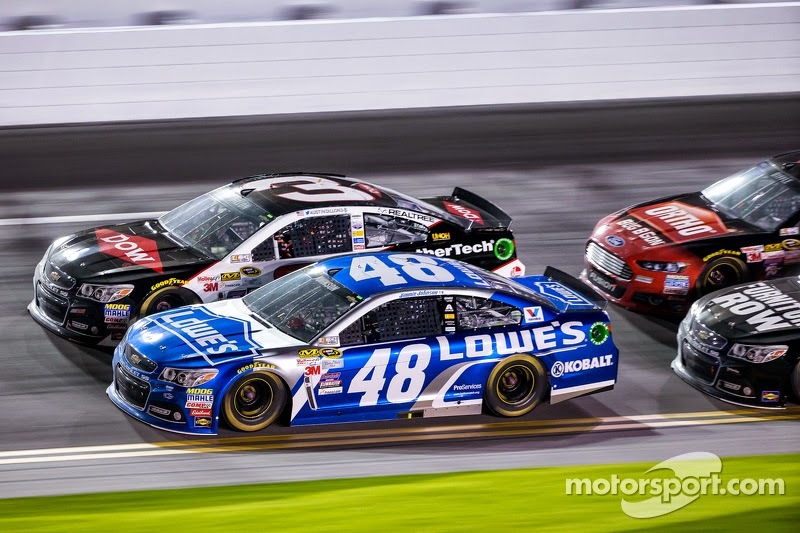 Gordon looked strong through the whole race leading six-times and race-best, 87 lead laps. The four-time Cup champion commented following the race, "for some reason I'm still smiling and enjoyed every moment of it. I obviously enjoyed the first half (of the race) more than the second half. … This is an amazing week and an amazing day. I'm just in this different place that is so foreign yet so incredible, just soaking it all in. The last several laps of the race were probably some of the most exciting in Daytona history, with the lead 18 cars within a second of each other running 3 wide all around the track. Jeff’s chances were dashed on the final lap when he got turned by Austin Dillon and wrecked causing the race to finish under a caution flag. Gordon’s comment regarding that last lap “I'm not going to miss those final laps. That was just crazy." Jimmie Johnson made an amazing comeback following a lap-87 pass-through penalty for having a crew member over the wall too soon. Johnson, and Crew Chief Chad Knaus were perplexed by the penalty. “We don’t know what we did wrong “exclaimed a frustrated Knaus. After the penalty, Johnson fought valiantly to actually lead the race in the final laps. Johnson didn’t have quite enough at the end, and had to settle for a 5th place finish. But it was such a close race, it could easily have fallen into Jimmie’s hand. 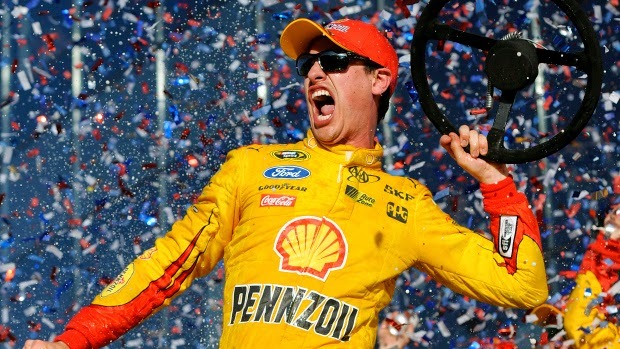 It was actually pretty surprising that Logano was able to end up on top. 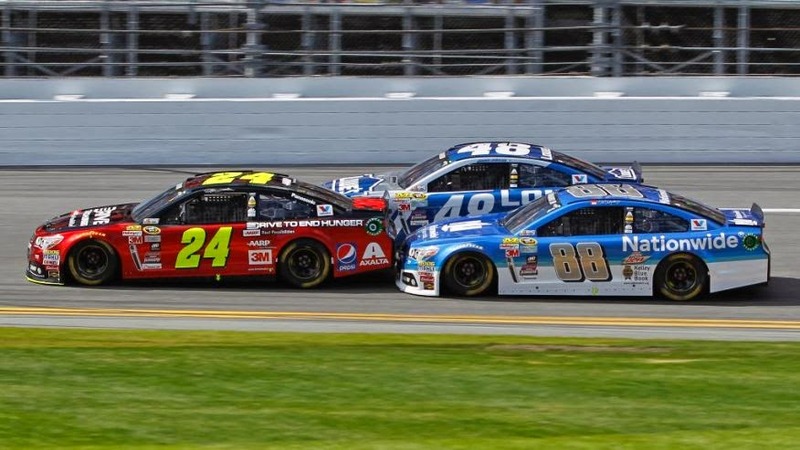 The Fords did not run especially fast on Sunday, nor in the Duel races. But it is not necessarily HOW fast you are, but WHEN you are fast. And Joey was fast at the end. Getting a push from Boyer on the final restart, the 22 car sling shot to the front and was able to keep Kevin Harvick at bay as he crossed the finish line making Joey the second youngest driver to win at Daytona. 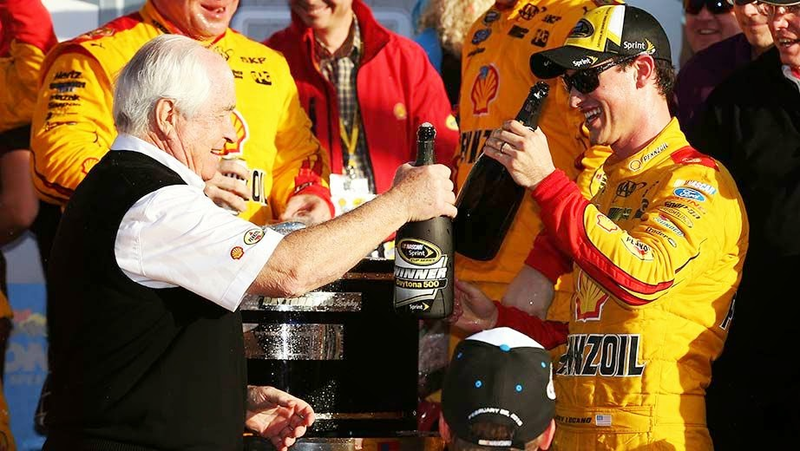 "We knew what we had to do and had a really fast car and just need to make sure I didn't get snookered on the restarts," Logano explained. "I can't explain how cool this is. … It feels just like the way you dream it. This is better than Disney World in here." Race Cars in Winter? Must Be Pomona! POMONA, CA – Racecars in Pomona California in the winter... must be Winternational time! 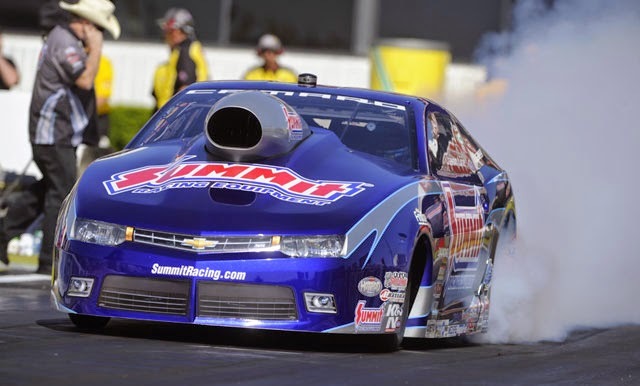 The 2015 racing season has begun with the first NHRA race of the season at Pomona. With the gorgeous weather, the racers must think California is always like this (well it’s not, but don’t let our secret out). It was an exciting weekend, and the most exciting story must be that of Alan Johnson Racing (AJR). 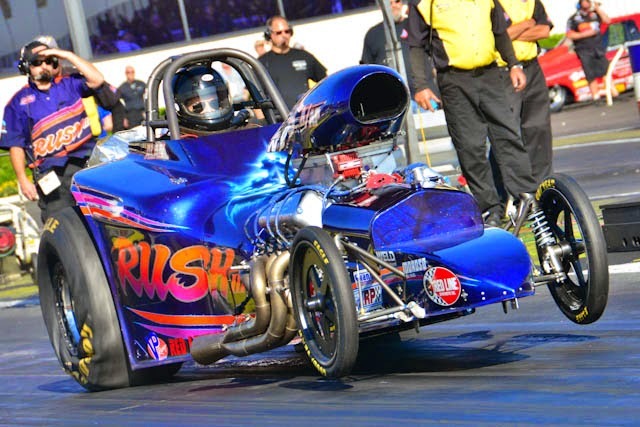 After Al-Anabi announced it was seizing all NHRA racing activities in 2015, Alan found himself in a predicament, how to go racing without a sponsor. But as any good competitor, and Alan is one of the best, he never quits. 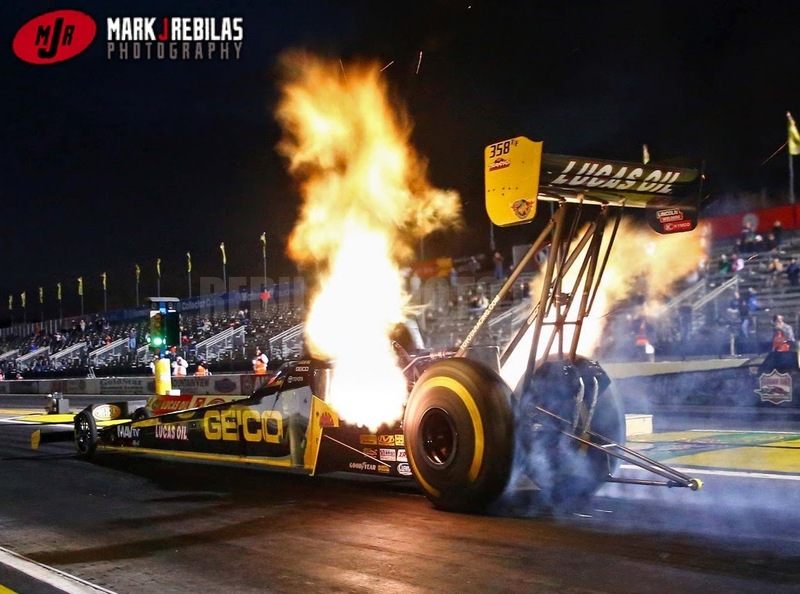 He pulled together some one-event sponsors, including Food Channel’s Guy Fieri, and showed up to Pomona with one Top Fuel dragster piloted by Shawn Langdon. But AJR didn’t just show up, they showed up with a Knuckle Sandwich earning number 1 qualifier with an et of 3.700 sec at 328.30 mph! 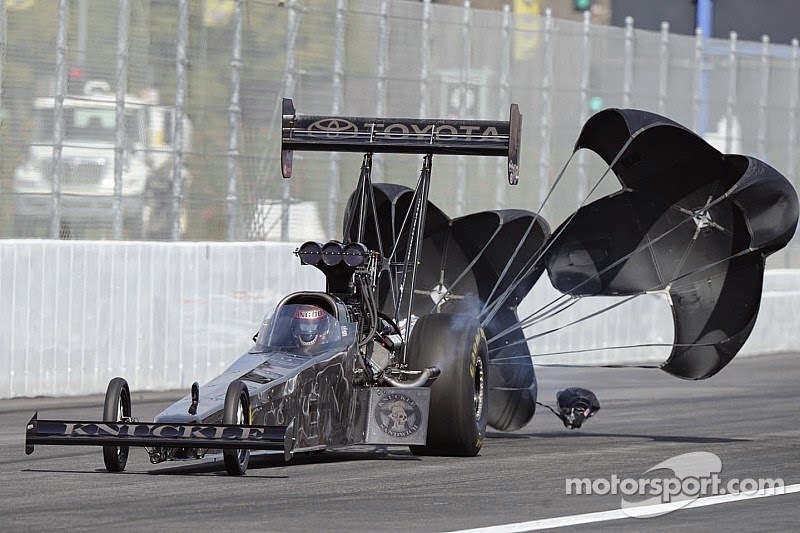 Langdon put down all of his competitors and in the final round went a 3.799 sec, 309.91 mph against Antron Brown’s 3.804 sec, 310.70 mph to take home the win. “We had a lot going on positively with Guy Fieri here this weekend,” Langdon continued. “We had to come out here and do well and make a statement. Now we’ll take what we did here and move on to Phoenix and continue what we are doing. We are still looking for sponsorship and trying to do the best we can.”AJR has secured sponsorship for the Phoenix race in two weeks, but after that, it is uncertain. Surly someone will pick this team up! 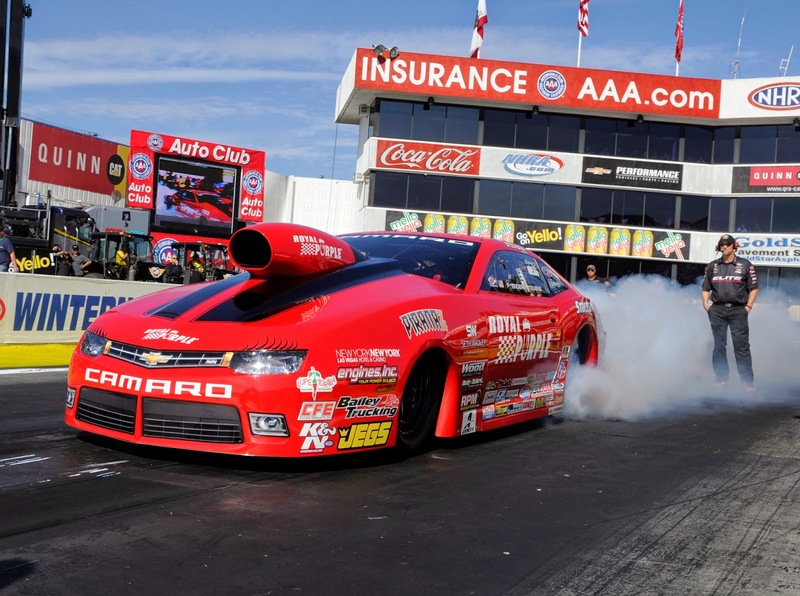 Erica Enders-Stevens may have won the 2014 Championship when Jason Line fouled at the winner-take-all final round at the NHRA finals in November. To make sure Erica still knew who the competition was, Line showed that he was the man to beat in 2015 with a final round victory against Ray Skillman. Jason went a 6.545 sec at 211.13 mph against rookie Skillman’s 6.556 sec at 211.13 mph run. "It's great to get off to a good start," Line said. "To be honest, I didn't expect to come here and do this well. I didn't think the off-season had gone well enough for us, but apparently it has. And it feels great to win.” Erica had some troubles earlier this weekend when she was not able to complete her first two qualifying passes due to some traction issues. She was able to bring it together and finished third for the weekend. Competition Eliminator went to Alan Ellis in his A/AP-Altered roadster powered with a Gray Motorsports Pro-Stock 500 cid engine. Alan was number one qualifier with a 6.464 et putting him 0.686 under his 7.15 index.